Are you one of the many bloggers who can’t seem to figure out how to build an email list? Everywhere you turn you read other bloggers saying how important it is to grow and nurture your list. The money is in the list, they say. Many successful bloggers claim that failing to grow their email list is the #1 regret of their early blogging career. At the beginning of August 2017, I had 38 email subscribers after three months of blogging. Three months and hundreds of hours spent writing content, creating cool opt-ins, researching the best email service provider, and trying to no avail to drive traffic to my little corner of the Web. All I wanted was to reach 60 subscribers by the end of the month. A mere 22 more subscribers than what I had. I wasn’t reaching for the stars, by any means. I was feeling defeated, and I just wanted a little boost to keep me going. By the end of August, my email list was at 200. In one month, my email list grew by over 525%. Halfway through September, it was over 300 and going strong. I’ve read articles from people who have been blogging for years who have fewer email subscribers than that. Maybe because they aren’t doing the right things, or maybe because they don’t understand the importance of having an email list as a blogger. Growing my email list was one of my top priorities from the beginning. I did a ton of research on blogging and growing a list before I started my blog, and I prioritized growing a list over everything else, even income. Not everyone would agree with me on that last part, and that’s fine. But there are some inarguable reasons for prioritizing list growth. Unlike social media, you control your list of subscribers. No one can take it from you. Your list and your website are pretty much the only two things you have complete control over. Social media algorithms change all the time. Pinterest is a perfect example. Pinterest used to show pins to your followers when you pinned them. The more often you pinned, the more people were likely to see your pins. Then they implemented a smart feed. Now the higher quality your pins (description, engagement, click-throughs, repins, etc. ), the more people are likely to see them. That seemingly little change impacted thousands of bloggers’ traffic and income. With each and every social media platform, you’re playing someone else’s game. Each time an algorithm or a rule changes, you have to adapt. In many cases, that’s not without taking a hit first. Maybe not for you if you’re one of those people who sign up for any and everything they see online. But for a lot of people, it’s personal. The people on your email list gave you a piece of personal information — a way to contact them one on one — because they liked what you had to say. They thought it was valuable, and they want to hear more. These are your fans. This piece of information is what allows you to build personal relationships with real people. People who have already told you they’re interested in what you have to offer. I’ve been thinking about creating something new for my audience — an ebook, course, or something along those lines. I thought I’d nailed a genius idea, but I emailed my list a short survey anyway just to check. Turns out I was wrong. I could have created the product I was thinking about, but it’s not likely anyone would have bought it. Definitely not many people from my email list. And if my list is telling of my general audience, then probably not many people at all. Thinking about launching a new course but not sure what will sell? Email your list. Want to understand who you’re reaching on the world wide web and why? Send them a survey. Your email list is the perfect place to conduct market research. What they want is what others will want. They can tell you how to grow your audience and gain even more subscribers. Like I said before, they gave you their email because they’re interested in what you have to say. That means they are more likely to purchase your products or products you recommend than some passer-through who stumbles upon your blog post. This may not happen overnight. You have to build trust with the people on your list first, which is a whole other beast of a conversation. But if you can do that, they will reward you with their loyalty. I’ve taken several paid courses on blogging by now, some of which were great, and others I regret. But every course I have taken mentions the importance of growing your email list. 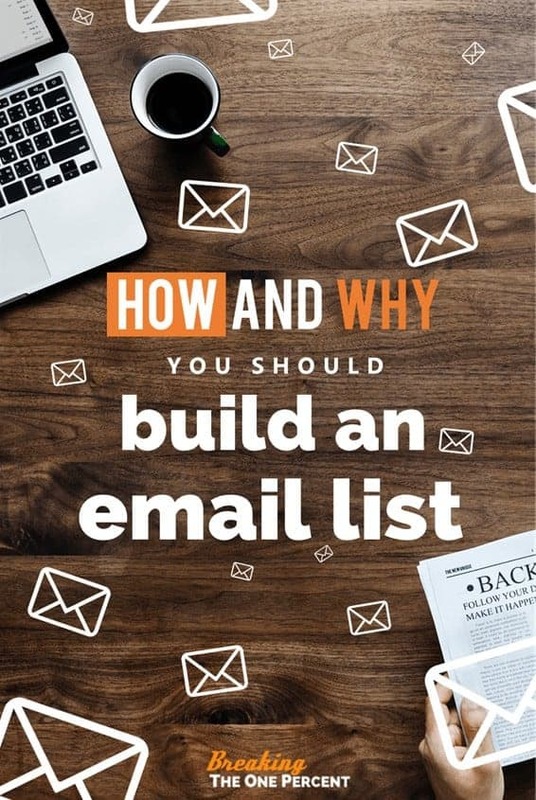 There are also bloggers around every corner writing about how to build an email list, so what I’m about to tell you probably isn’t going to blow your mind. When I read this for the first time, I thought “no freakin’ way.” Anyone can put those things together, right? I do all that and my email list is going to explode? Nah. And I’m not gonna lie, it didn’t at first. That’s why I only had 38 email subscribers in my third month of blogging. So I started to think it was all just a sham. The whole thing. Blogging is bogus — some people get lucky, others (like me) don’t. Three months in and I was ready to quit (which is pretty typical for most new bloggers I’ve spoken to). That’s when I had a revelation. When I started blogging, I didn’t have a plan for my content. I wasn’t thinking about how to convert affiliates. The way it worked in my mind was this: include some here and there, people click, buy, and I make a few cents. I thought I could write whatever I wanted, however I wanted, and people would just flog to my blog and beg for more. That was what I envisioned happening. Reality was a little different. No one came. No one bought. I began to think I was just another sucker who fell victim to the “You can make money blogging!” scheme. You got me. Joke’s on me. I give up on your little blogging game. Then I made a couple of blogging friends who, by anyone’s measures, have been pretty dang successful. Note: Those two bloggers happened to be Ben and Jeff, the guys behind this stellar website. We met up at a cafe to geek out about blogging (because finding another blogger in real life is like strolling upon a unicorn in the woods). I told them I was thinking about changing my URL and rebranding because I didn’t like where I started, and I thought my niche had been played out. My new friends helped me realize that my lack of success (as measured by traffic, subscribers, and income) had nothing to do with my niche. It was all about my approach. Others will tell you differently, and that’s fine. What works for one doesn’t work for all. But in my opinion, it’s not about being original, it’s about finding out what’s working, and either doing it better than your competitors or putting a unique spin on it. But you probably haven’t read one like this, right? I mean, we’re at 1,600 words right now, and I haven’t even gotten to the good stuff. Find out what people are reading, and write about that. After you find out what content in your niche people are already reading, figure out how you can solve their problem. For example, if you see an article about “How I grew my email list by x% in x days,” your readers are obviously interested in growing their email list. How can you help them with that? First, you can provide awesome free content that’s both a) informative and b) won’t put them to sleep. Second, you can give them a free gift that will be even more helpful. For example, an opt-in for this post could have been a free email course on growing your email list or creating the perfect email welcome series. My mistake starting out was that no one wanted my opt-ins. I spent hours slaving away to create a workbook that only converts at around 3%. In case you don’t know, that’s not good. I wasn’t giving my readers what they wanted. Come up with something you can give your readers in exchange for their email address, but make it something they want. The Internet is a big place, which means there are a ton of places to look for your ideal audience. Start by researching your competitors. And I don’t mean other new bloggers. Research the big players in your niche. If you don’t already know who that is, then find out, put them on a list, and keep that list handy. You’re going to use it. Often. What are they writing about? What opt-ins do they offer? When and what do they post/pin/tweet? Another option is to search by content. Find the most popular content in your niche and write about it. Don’t copy it. Put your own unique flavor to it. Tell your story. You can do this by typing in keywords to Google, Pinterest, or BuzzSumo. Once I realized I had to give people what they wanted in order to be successful, I started doing research using the methods above. First, I made a list of my competitors, and I watched their every move. I paid attention to what they were posting, when, and how often. I checked out their most popular content (found using BuzzSumo), and I started writing similarly titled posts. Then I looked at the opt-ins they offered the most, and I created my own unique version. My first well-researched post went live towards the middle of August. I scheduled it with Tailwind, shared it in my Tribes, and posted it on Facebook and Twitter. Note: I’m not going to dive deep into it here, but traffic is essential to growing your email list. If no one is reading to your blog, then who’s going to subscribe? For more on growing your traffic, check out our guide on How to Create a Pinterest Marketing Strategy Using Tailwind Analytics. In one day, I got 40 new subscribers from a single opt-in. That’s more subscribers than my blog had gotten in its first three months combined! The pin for this particular blog post went mini-viral, which caused a surge in traffic, and therefore a surge in subscribers. But that pin going mini-viral was no coincident. This was the first post I had carefully researched and optimized to get more traffic and more subscribers. I signed up for the best email service provider I could find (spoiler alert: it’s ConvertKit) in my first month as a blogger. How did I come to the conclusion that ConvertKit was the best tool? Research. Lots of it. Some of the biggest bloggers out there, including Michelle Schroder-Gardner of Making Sense of Cents and Pat Flynn of Smart Passive Income, use ConvertKit. Both of these bloggers have tens or even hundreds of thousands of subscribers and make over $100,000 per month blogging. I trust the tools they use. I knew my email list was going to be paramount to my success, so I was willing to invest in a great tool. Plus, the starter plan only costs $29/month, which wasn’t hard for me to swallow (unlike a $400 Pinterest course I took and regret every day…). ConvertKit is what I use to deliver my opt-ins. I used to skip the first two steps and go straight to brainstorming fun and unique ideas. Which explains why I only had 38 subscribers in three months of blogging. Nowadays I spend more time in the research phase than actually creating the opt-ins themselves. That’s how I’ve grown my email list to thousands in only a few short months and have opt-ins that convert at 35%+. Trust me, the research is worth it. 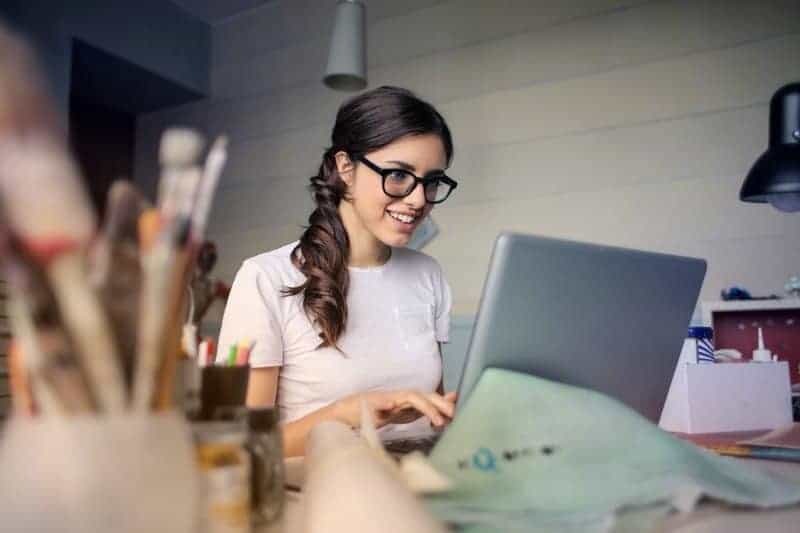 Growing and nurturing an email list incredibly important, and it’s not as difficult as you may think — if you do it right. Find out what people want to read, create awesome content, tantalizing opt-ins, and drive traffic to those articles. Do all these things and your email list will flourish. What have you done to grow your email list? Share in the comments below! Megan is a marketing fanatic who spends her days helping others navigate the vast world of online marketing. When she's not writing killer content for bloggers and online business owners, she works as a behavioral and financial money coach at her own site, Goodbye to Broke. I’ll bite. I just joined your email list. Interested in hearing what you have to say. I just started my blog a couple weeks ago and haven’t began monetizing or trying to build an email list. I’ve only done a few posts and mostly reading about what my fellow bloggers are doing before I really get into it. If you have a few minutes stop on by. Your blog is lookin’ pretty slick, and it looks like you’re already getting great engagement — that’s awesome! And also a huge congrats to you and your wife for crushing FIRE. We got the chance to hang out with some FIRE bloggers at FinCon this year and they were seriously some of the greatest people I’ve ever met. What are your favorite FIRE blogs, and what are your goals for your own? My FI and retirement goals are here http://sahdfire.com/financial-independence-retire-early/fire-path-retirement-number-goals-2018-2/ other than that just started the blog for fun and living the dream being a SAHD. Next Post How Do Bloggers Make Money, and How Can You?